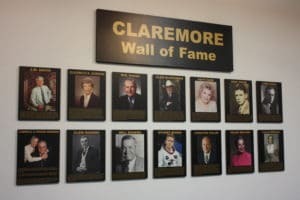 The 2019 Claremore Hall of Fame induction ceremony and banquet, hosted by the J.M. Davis Arms & Historical Museum, will be held Thursday, June 20, at the Claremore Expo Center (400 Veterans Parkway). The reception begins at 5:30p. Doors open at 6p, and the induction ceremony will be at 6:45p.